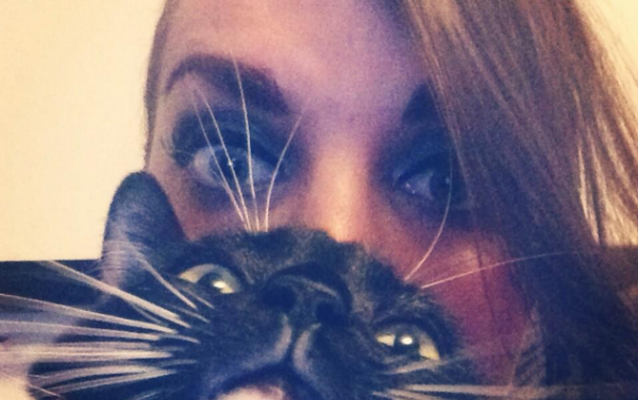 Theres no doubt that Sydney Leathers adores her kitty Edith. I bet you didn't know that Sydney had such a silly side. She loves spending time with her cat being playful and silly. It appears Edith relishes in all that attention as well, pausing for the camera.